Many decades ago, style and class were always at the center of every great design. Today, we tend to focus a little more on the functionality, but there are still a few tech artists who abide by the old rules. 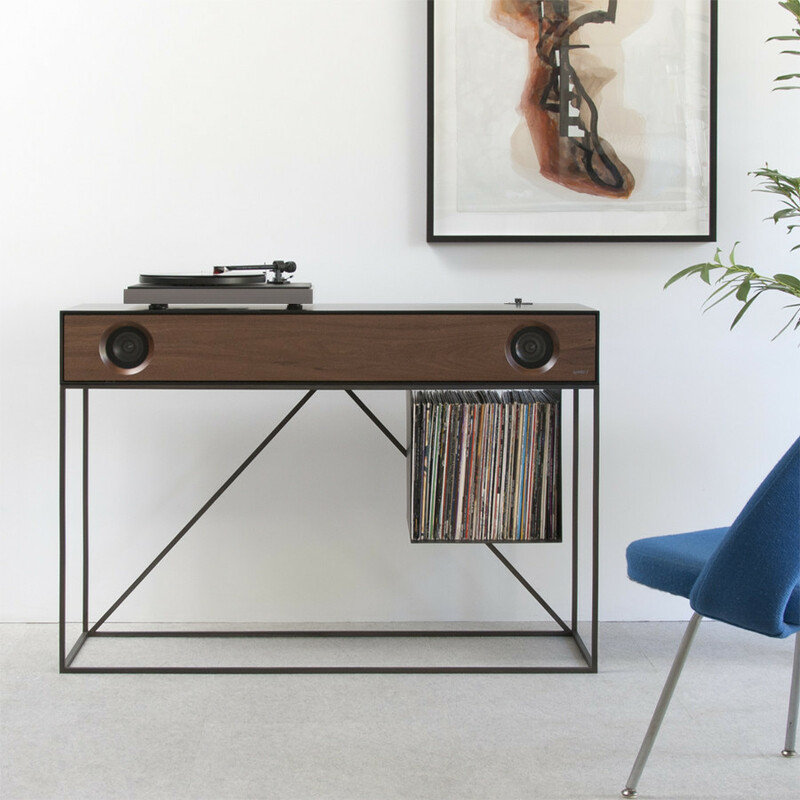 Take this stereo/entertainment console by Blake Tovin and Matt Richmond. It has been handcrafted from solid wood and is accented with a touch of powder coated forged steel. It is a beautiful piece. It’s so beautiful, we almost forgot to mention that it comes with a pair of 4″ drivers and a 15.5-watt down-firing subwoofer. It is also compatible for wireless streaming, your iPod, television, and will hold your old LP’s and a turntable if that’s what you’re into. It comes with its own hidden compartment and wire management system so that its ‘functionality’ will never mess with your style and class. That’s how it should be done. Get it here.